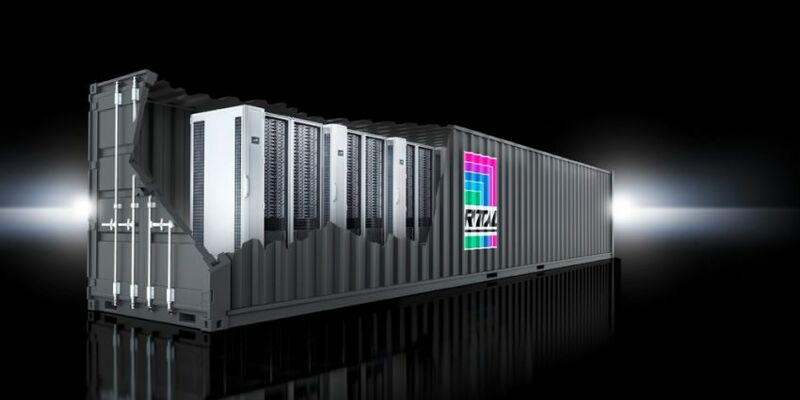 Rittal RiMatrix S Containerised Edge Data Centres for the Next Generation of Telecoms | Rittal - The System. Added to which, there are industry-specific requirements, such as the need for particularly high physical protection in harsh environments. For these reasons Rittal is expecting local IT resources - deployed in close geographical proximity through edge computing - to become more widely deployed to ensure that latency is low and data is readily available. Edge flips the computing paradigm, pushing computing and data closer to users and Rittal has responded with some innovative solutions, tailored to sector applications. The rise of edge computing, which essentially provides computing resources at the perimeter of a given network, is expected to be rapid and immediate. The focus is typically on the immediate processing capacity required at the source of data, making it as fast and secure as possible. For example, in “smart” production systems, sensors and actuators continuously relay information on the status of processes and infrastructure. This forms the basis for innovative services such as alerts, predictive maintenance, and machine self-optimisation, delivered by the company’s IT department in real time. For this to happen, and for quick responses to events and anomalies, it’s critical to have low latency between production and the IT infrastructure. With all this in mind, Rittal introduced its RiMatrix S Containerised Edge Solution: an end-to-end product with standardised, pre-configured IT infrastructure. The Rittal RiMatrix S Edge Containerised Solution is a turn-key solution, based on standardised infrastructure. It can be implemented rapidly and cost-efficiently – paving the way for Industry 4.0 applications. RimatrixS Single 9: (90kW) as above but no UPS. All the above can also be supplied as a "room within a room" version, in a single or double variant. The modular approach is very flexible and provides customers with a range of options for a variety of scenarios. For example, installation in an IT security room, or in a container, to be located wherever it is required. Combined with the as-a-service offering that Rittal jointly provides with iNNOVO Cloud, the Rittal Edge Data Centre is a complete, one-stop solution for enterprises of all sizes. As 5G networking comes closer, telecoms firms are ready to take advantage of what IoT and edge computing can offer. Accelerated data demands have forced a rapid re-think in how telecoms firms manage their resources, prompting a shift towards cloud-driven architectures. Any technology which can manage the increased capacity of data consumption, such as edge computing, has the potential to drastically reduce the transfer and management costs of data. Edge data centres work well in any decentralised development of IT capacities, as they offer the short latency needed for real-time communication between IT systems. Rittal’s Scalable RiMatrix solution are ideal for this type of application. To streamline Edge data centre planning, Rittal offers a special web-based configurator (www.rittal.de/configuration-system) which means compact and small enclosures can now be quickly and easily configured online. Customers can choose the right accessories, without reference to a catalogue, then position and prepare the enclosure for mechanical processing. Rittal’s data-centre-as-a-service (DCaaS) offering is a viable alternative for customers who would prefer not to operate the edge data centre themselves. They are then free to focus on their core tasks while harnessing the benefits of the Internet of Things (IoT) for their business. Hand-in-hand with its IT-as-a-service (ITaaS) platform provider iNNOVO Cloud, Rittal also offers private-cloud data centres in shipping containers, as well as ITaaS. The containers are fully equipped with all key active components, such as servers, network connectivity and storage for immediate use.